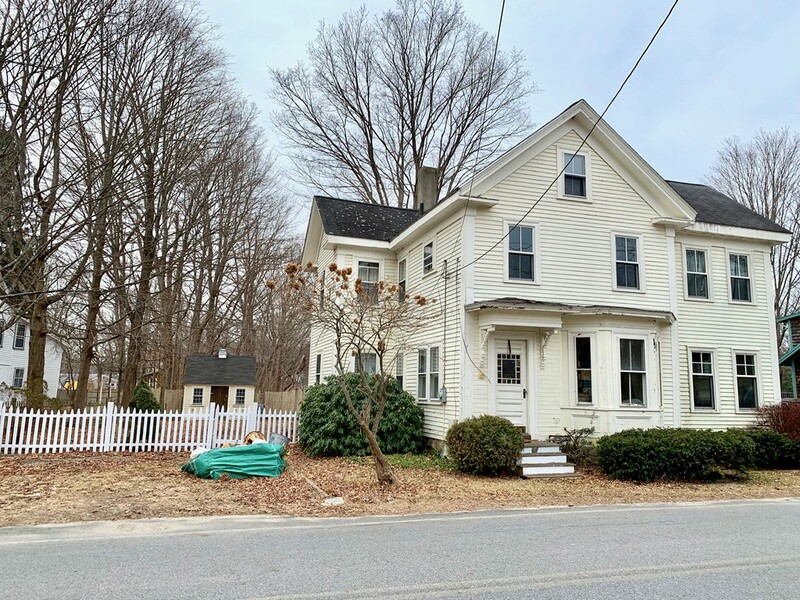 Directions: Downtown Topsfield/ Main St To Central St.
Due to the condition contractors, builders or investors who are cash buyers with no financing most qualify. Substantial work/ complete renovation needed. The building department has no records regarding Title V, Title V is the sole responsibility of the Buyers. Active leaking roof with interior damage as a result of water intrusion. No heat or operational heating system. Electricity is shut off and/or is non-functional. Mold growth throughout the interior. Sold "as-is", "as seen". NOT a bank owned property, REO, or short sale. If smoke cert issued from Fire Dept is needed for closing it's the buyer's responsibility to obtain. Great lot, great location walk to downtown.